This year our Baby Leagues will be an open registration league for children in the U8 and U10 age category. There will be two centres in the main towns, i.e. Mapusa and Vasco. Each centre will run its own baby league. 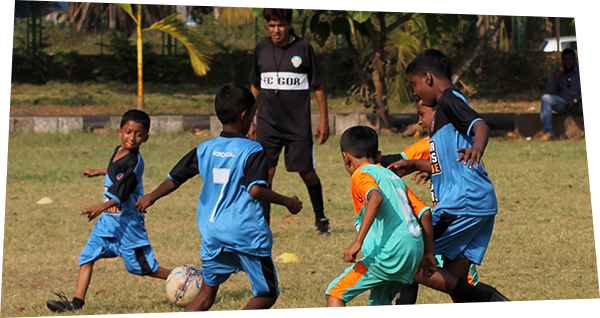 Anyone can form teams of up to 10 players each and register at the nearest centre by paying the requisite fee. The League will follow rules and guidelines set by the AIFF. The League will run from October to April with matches being conducted every weekend. If you are interested in registering a team for the league please click the link below to start the registration process.